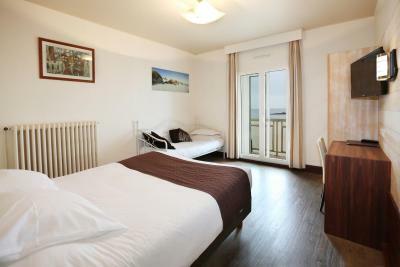 This is one of the best small hotels in France I have ever visited - super clean, very comfortable modern room and bathroom, excellent selection of TV channels, great seaside terrace and staff. 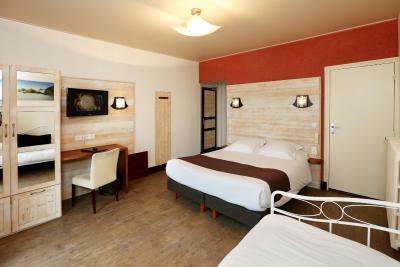 A beautiful hotel with tons of charm! The staff was very helpful and kind, especially Gabrielle (I probably didn’t spell his name right) who even speaks perfect English which was extra helpful since my French is far from perfect. 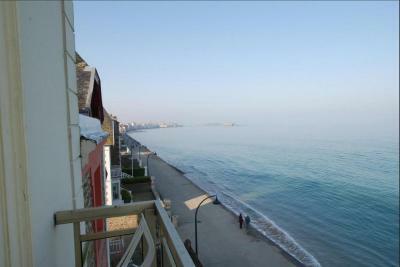 Great view of the beach, quiet and expansive rooms and a large breakfast buffet! 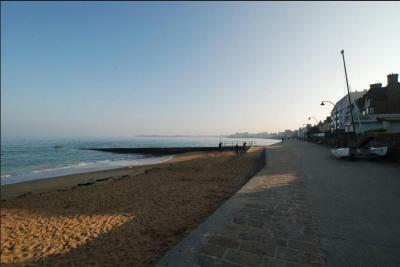 Walkable to the old town but could stay on Sillon beach all trip. Parking is a trick because its a small lot, but entirely doable. 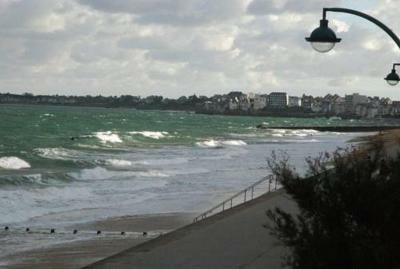 Great location as the property is located right on the water and about a mile from the walled town of St Malo. 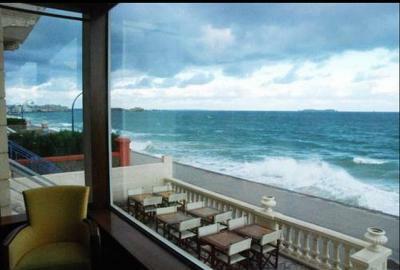 The view of the beach and sea from the small lounge is beautiful. Everything, fab location. Really friendly, yummy breakfast with a HUGE selection. Pillows really comfy. The breakfast was superb. 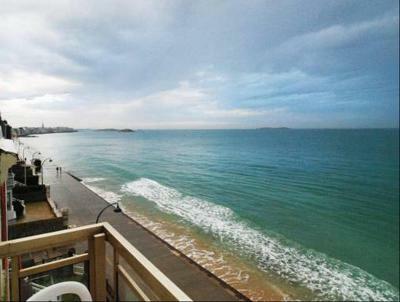 The beachfront location perfect. Very comfortable bed. Helpful staff. 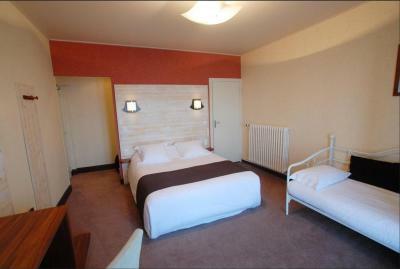 We loved the hotel alba , rooms 2-3 were perfect for us. Nice and quiet. 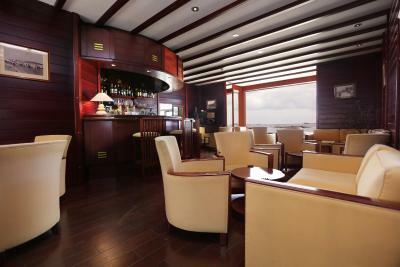 Great lounge. Great, interesting building. Beats staying intramural any day. 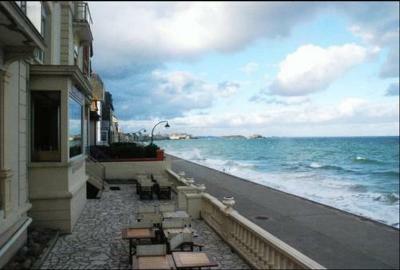 Excellent access to the beach as Hotel is located just in front of it. 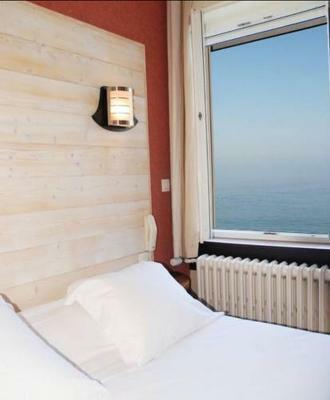 I stayed in a beach front room, and it was worth to pay for it. 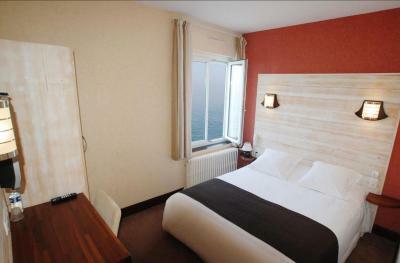 One of our top picks in Saint Malo.Hotel Alba is in Saint-Malo, facing the beach and next to the port. 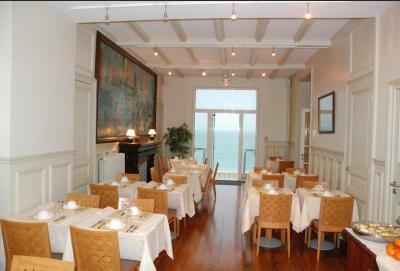 It offers a bar and rooms with sea views and direct beach access. 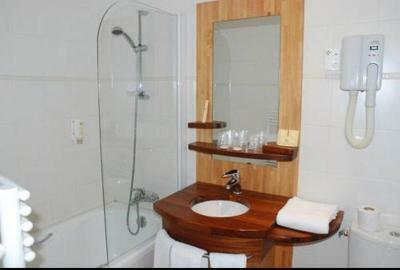 Each room has simple décor, free Wi-Fi, cable TV and a private bathroom with a hairdryer. 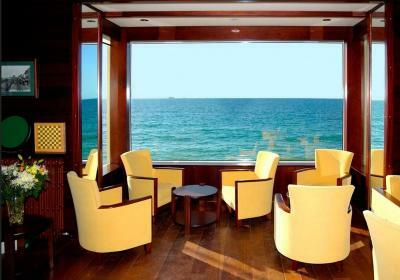 A buffet breakfast is served daily in the breakfast room, and guests are invited to have a drink at the hotel’s bar or on the terrace while enjoying the sea views. 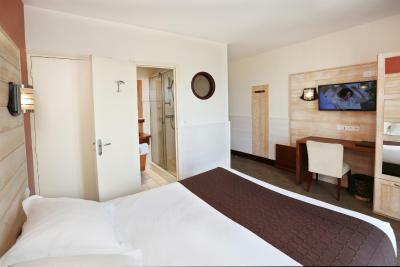 A 24-hour front desk service is available at the Hotel Alba. Free private parking is available. 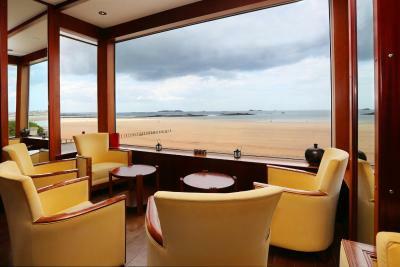 Gare de Saint-Malo Train station is a 15-minute walk away. Places that guests can visit in the area include Chateaubriand’s tomb on ÎIe de Grand Bé, St Vincent Cathedral and the city’s Castle. 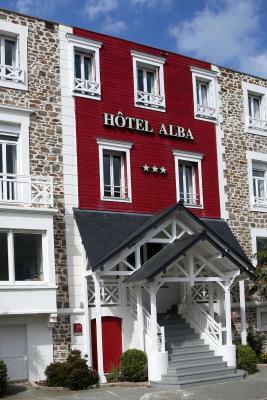 When would you like to stay at Hotel Alba? 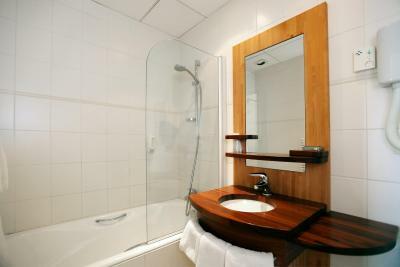 Featuring a TV and ironing facilities, this heated room includes a work desk. These are 2 rooms connected by a door. 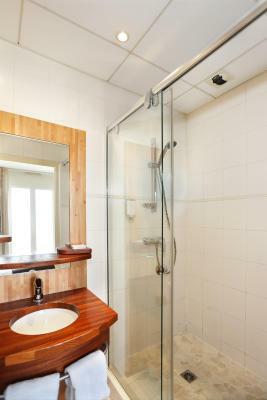 They feature a TV and private bathroom facilities. 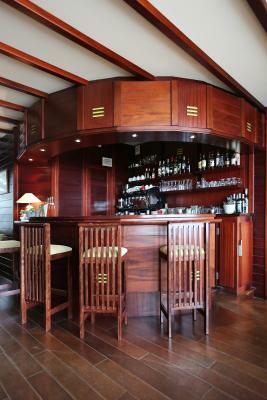 House Rules Hotel Alba takes special requests – add in the next step! 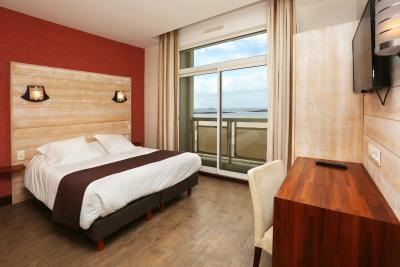 Hotel Alba accepts these cards and reserves the right to temporarily hold an amount prior to arrival. 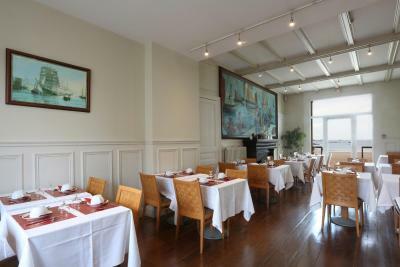 Breakfast is served from 7:30 a.m. until 10:30 a.m.. 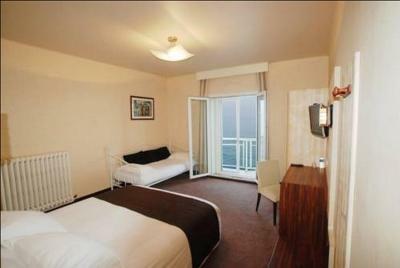 Please note that hotel only offers views from the Double Room with Sea View. Daily cleaning in the rooms was not always flawless. Thought the breakfast was included but it wasn't only discovered this when we paid the bill 12 euros each.. On the plus side, It was a very good breakfast. No evening meals And had to leave at normal check out time although it was agreed we could have a late checkout. 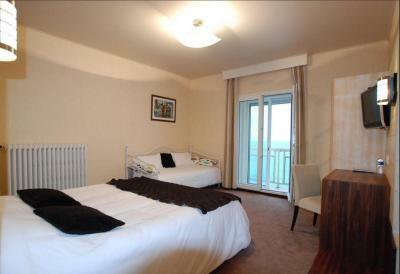 Sadly, the property was full and I have ended up with a room without a view, though the location surely is spectacular. 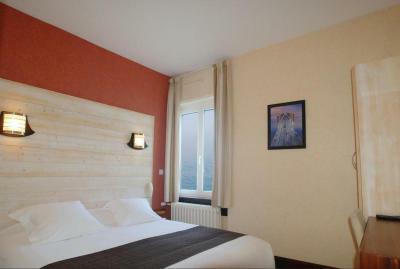 The room didn´t correspond to the photos shown on booking...! 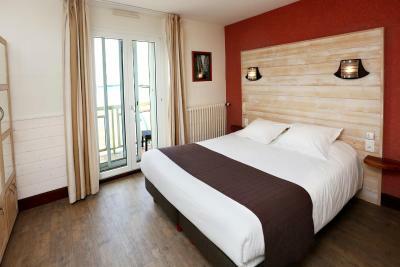 We were upset Expensive rates for hotel quality and expensive breakfast (not included in the room rate) Their cleaning routine needs to be improved...! 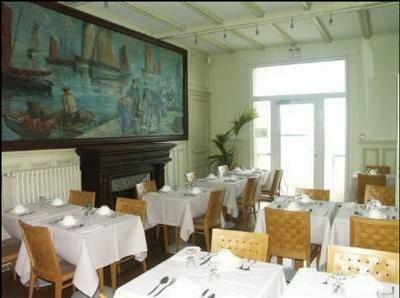 The service from the older staffs were poor, the staff cleaning the room were excellent and one young staff at reception also.